Kristian Westerveld was a youth player at Heerenveen, Groningen and Emmen. He made his first team début in Germany. 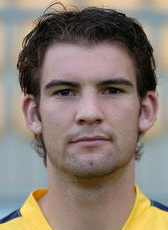 The defender signed a contract with Oberliga Nord side SV Meppen in 2006. After three seasons, he moved to Regionalliga Nord club BV Cloppenburg on a 2-year contract and extended during his stay until June 2019.